Jean Fernel (1497-1558) was one of the foremost medical writers of his day, ranked by his contemporaries alongside Andreas Vesalius, reformer of anatomical studies, and Paracelsus, radical reformer of theories of disease and treatment. He is arguably the leading expositor of the Galenic system of medicine. He exemplifies in his Physiologia the method and approach of a typical Aristotelian philosopher in the period immediately before the downfall of Renaissance Scholasticism. 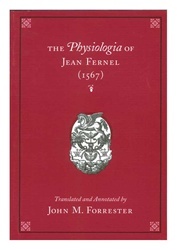 John Forrester offers the Physiologia here in its entirety and provides, for the first time, a complete English translation of the work.